You wouldn't believe the amount of material for this round up I can't publish today - either because it's unconfirmed rumour or I have been asked to keep quiet for a bit, but suffice to say over the next few weeks many eyebrows will be raised and boredom is certainly not going to be an issue. As usual First take the bulk of the column inches today due to activity just about everywhere. 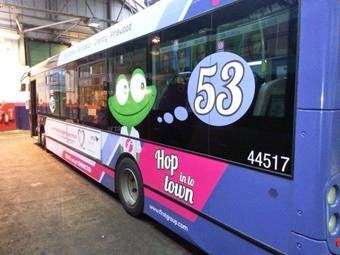 At Ipswich branding has begun on the 66, and will soon begin on the 53 too. I showed pic in my post from Ipswich on Wednesday (click here to see it) of freshly painted 32488 in the depot getting her "Superoute 66" branding. So almost inevitibly when Bryan Dickson saw her today she was operating on the 75 to Felixstowe! Just before I was about to post this Round Up I was alerted by Sam Larke of Norwich Buses that Chris Speed had posted a pic on Facebook (which I don't touch with a bargepole) of one of the E200's in 53 branding. The pic was actually taken by Paulo at Ipswich so thanks everyone concerned for getting the pic out in the public domain - I suspect knowing us bloggers would pounce on it like a pack of hyenas! That bloody frog appears to be back! Ex Colchester Volvo B7rle 66976 has arrived at Ipswich, and I believe has already departed for Rotherham, and the final transfer will be the long awaited 69006 from Norwich which is due on Monday, but then someone or other has said it's been coming every week since August so seeing will be believing! 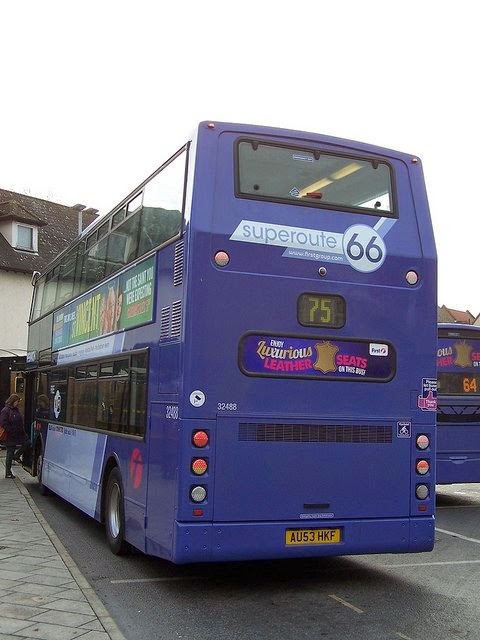 Scania 65675 has gone to Colchester, and eventually 65670 and 69433 will go the same way. Over at Yarmouth all the new Streetlites are now in service, and the reception seems to be pretty positive. I'm neither here nor there on them - they don't blow me over with their quality - the retarder sounds like a 1980 Metrobus - but there are worse buses that size on the market too. However, I can foresee a major problem which could see them either constantly over the pits having everything tightened up or re-gluing, or rattling like a 1930's football crowd within six months and this time it is not the fault of First, nor Wright. The blame will lay firmly and squarely at the feet of Norfolk County Council. Quite simply the roads these buses will be going over day in day out are nothing short of scandalous. I went on a 2 to James Paget for the first time on Tuesday and was appalled at the state of some of the roads. I couldn't blame any operating company for refusing to operate along those roads until a decent surface was provided. 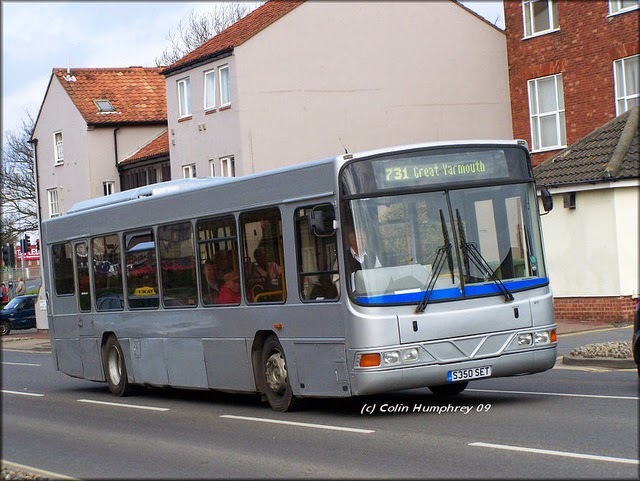 As reported earlier in the week Lowestoft have gained the use of Yarmouth's ex Jersey Dart 43862 and Plaxton Dart 42921 is on loan to cover extra Bernard Matthews work. 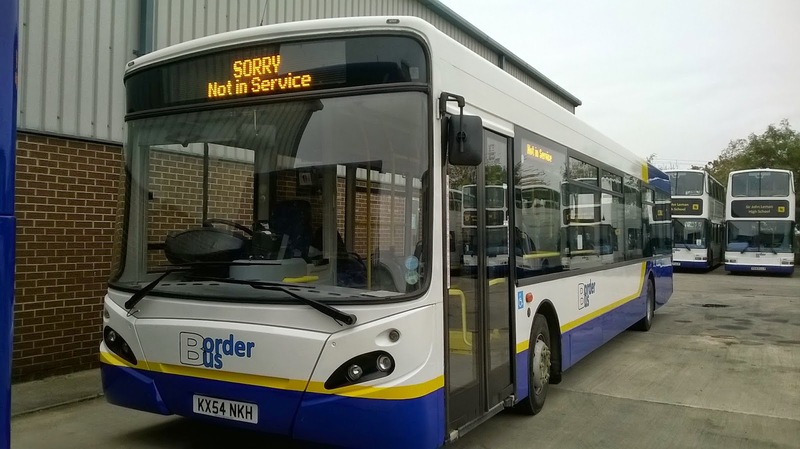 Interestingly the demand for extra buses at Bernie's was so great today that a Kings Lynn X1 E400 was used on an early morning BM contract Saturday. I would kill for a pic of that if anyone has one as the headline is screaming at me! Some of Norwich's new Streetlites are set to make their debut tomorrow (Monday) but it would appear NOT on the 39 as intended. Local media reported on Friday that they would instead be used on the 14 between Wymondham and Wroxham, which is actually more appealing to me and I hope to have a report and pics in the next couple of days. This is one of the times I can't publish what is going to happen but expect some interesting news in the coming days and weeks. As soon as I'm given clearance to publish I will so keep checking back. I have now been given clearance to reveal to merry-go-round of transfers about to take place although specific vehicles involved have yet to be confirmed. 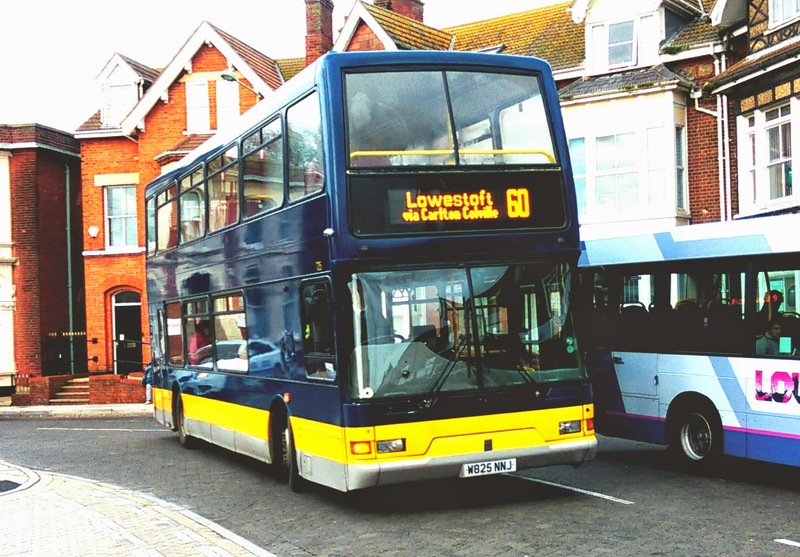 Basically Yarmouth's ex Jersey Darts will transfer to Lowestoft. 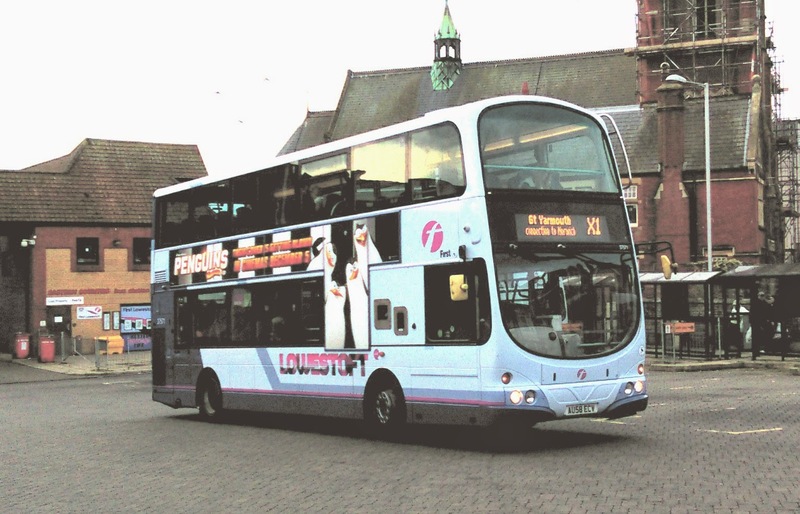 Lowestoft's E200's in turn will transfer to Norwich and will replace the Solo's on the 39 as the Streetlites have turned out to be a little too big for the route. As I get individual vehicle details I will, of course let you know! One Streetlite that won't be out tomorrow is 47511 - which was captured today at Heysham Docks by the wonderful Malcolm Jones. Many thanks for sending me the pic, Malcolm, and copyright of this pic remains with him. 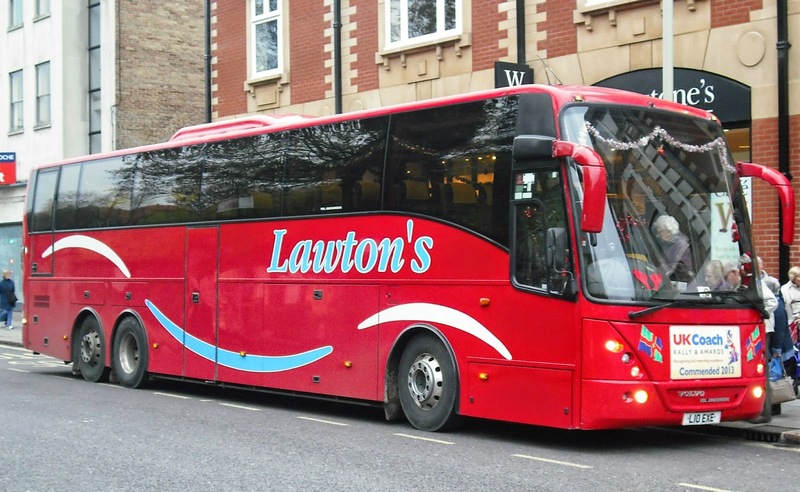 In other Norwich news Plaxton President 33060 has returned in the new generic corporate livery. It has had its extremely temporary red vinyls removed and the new black and white ones applied that I am reliably assured are the right ones! Can't really call this news but as this is always the most read post of the week I thought this deserved to be included. 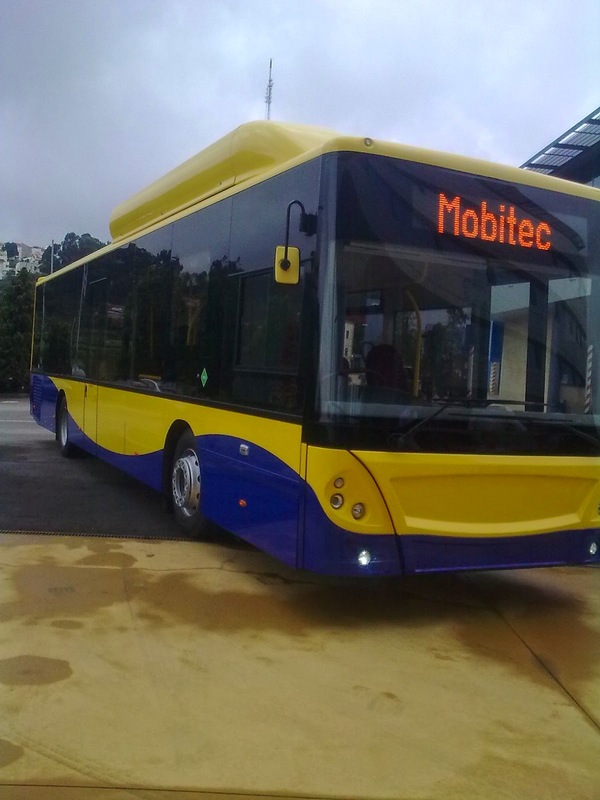 I was well chuffed to receive an email from Dave Marshall, Chief Engineer at Borderbus, formally of Anglian, who sent me two pics he took of the first gas bus to come out of the factory in Portugal prior to coming over here. Unfortunately I don't know which fleet number this ended up becoming but what the heck - amazing pics, Dave, and I would guess extremely rare. Thanks for sending them to me and thus sharing them with everyone else. I must insist that these pics remain copyright to Dave. Not something that normally makes the news but there are a couple of changes coming up in Ipswich. 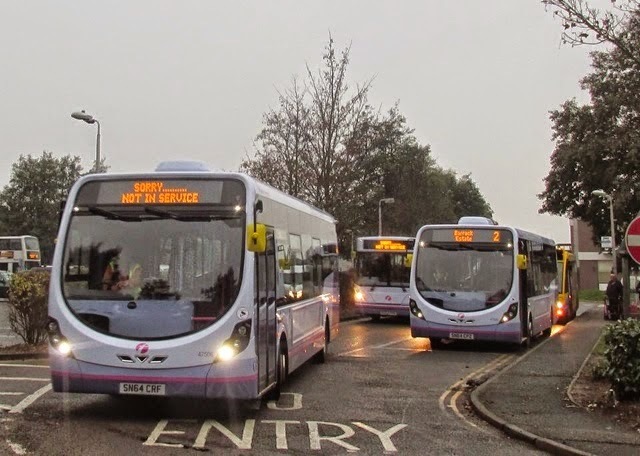 The Sunday 116 service to Debenham has been scrapped due to lack of use - that was well predicted in certain corners, but the 65A to Woodbridge has been extended to Melton, and an extra two journeys added to give 5 in total. A shame it couldn't be extended even further to Wickham Market and Rendlesham but hopefully that will come in future months. Any improvements to Sunday services are to be encouraged and applauded, but the public have a responsibility to use the services when they are provided. I fear it maybe some time before Debenham gets another chance. A bit of a rant now. I have defended Greater Anglian to the hilt in recent months. Indeed it's possible they might be getting an award from this humble publication but things are getting worse. I follow GA on Twitter and right now there can't be many more unreliable services in the country than the Ipswich/Felixstowe line, which I have a vested interest in as I used to live by the line. The excuse normally given is freight congestion, and that is believable to an extent, but only allocating one unit to that line doesn't help much. Having worked on the railway I know all about units and crew displacement etc, but I also know there are normally spare crews sitting around too and at least one spare unit at Ipswich during the day. I also appreciate that most of the line is single which makes passing difficult. But there simply doesn't seem to be any contingency plan in place apart from a Panther Travel coach outside Ipswich Station that will operate journeys if required. Not much help if the problem is the Felixstowe end. So why doesn't someone step in and operate a fast bus service from Ipswich to Felixstowe via the A14 running in competition with the trains. 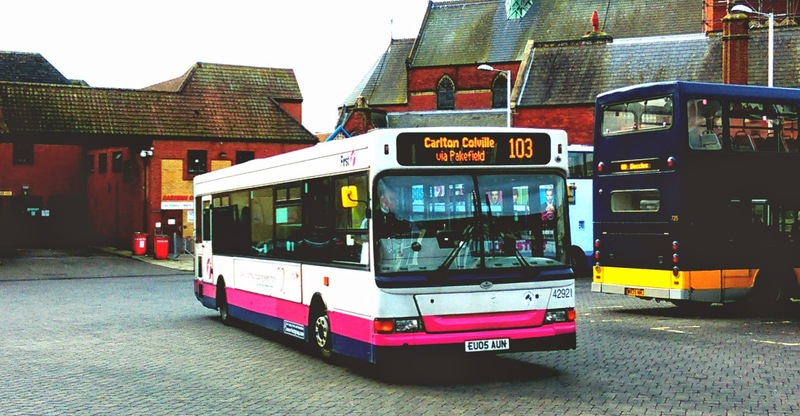 As long as it proved to be totally 100% reliable and ran at the right times it might just catch on, especially if it carried on to the Town centre. 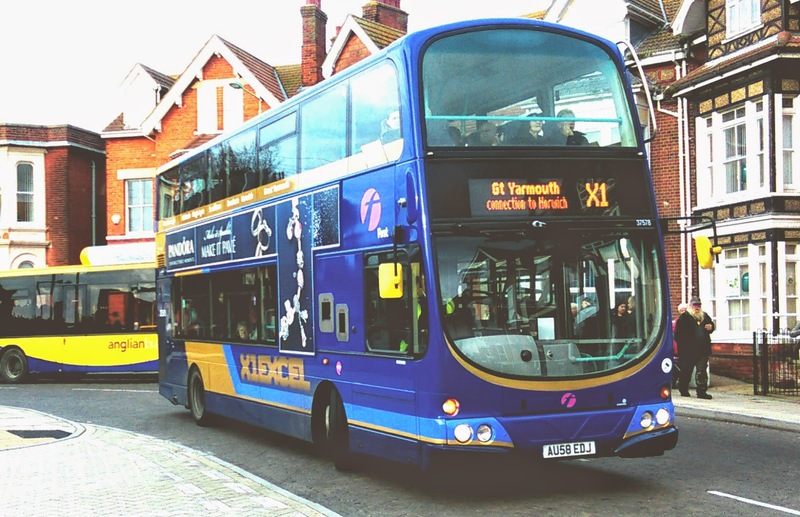 OK those rail passengers travelling further than Ipswich wouldn't benefit financially unless they had a bus pass, but for those commuting between the towns it could be a more attractive option if it took far less time than the current service buses. If it proved really successful maybe it could even extend to Colchester running fast down the A12. Woah now there's a thought! Once again I am available for consultancy work! 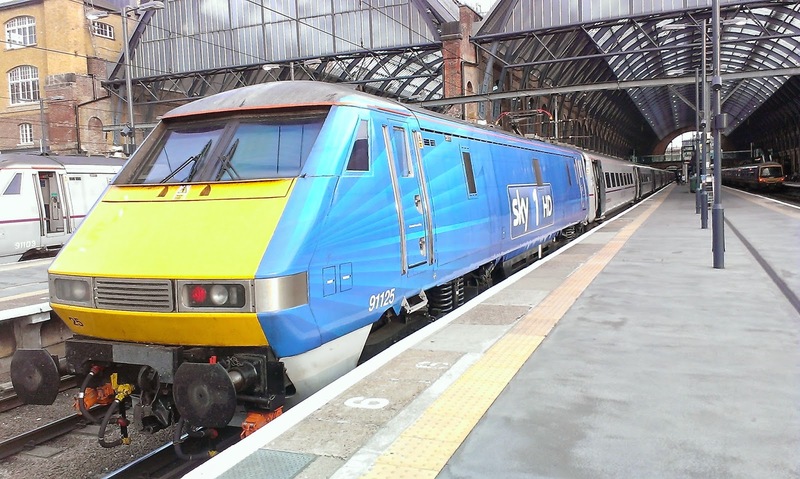 Only one story today and that is the rather unexpected decision by Her Majesty's Government to award the new franchise to operate the East Coast Main Line to a consortium of Stagecoach and Virgin. This is the same consortium that has run the West Coast Mainline for the last 9 years, and will be known as Virgin Trains East Coast. Yesterday the smart money was on Eurostar winning the franchise, and before that First were rumoured to be getting it as compensation for losing the Scotrail franchise a couple of months ago. The government is promising the usual extra services, more seats and reduced running times as the result of this franchise. And it has to be said Virgin have a pretty good track record (sorry couldn't resist it) when it comes to delivering improvements. They almost overnight transformed cross country travel in the early 2000's with the introduction of the Voyager trains. I went on one in their first couple of weeks and loved it. I went on one three weeks ago and it really didn't feel its age. 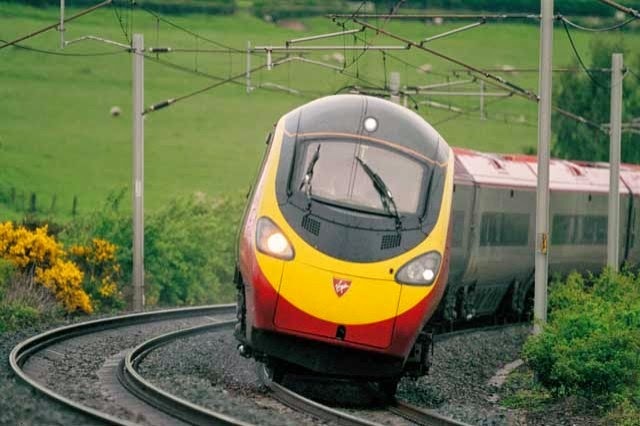 Virgin were also responsible for introducing the tilting trauins on the West Coast Mainline. The Pendolinos were seen as almost revolutionary and considerably reduced journey times between London, Birmingham, Manchester and Scotland. I confess I still haven't been on one and really must put that right at the earliest opportunity! And now as part of the franchise Virgin Trains East Coast will introduce no less than 65 new Intercity trains, built by Hitachi at their factory in County Durham which will be introduced between 2018-20. Until then the entire fleet is to be refurbished, which seems a bit pointless for 3 years so expect those refurbished coaches to be cascaded elsewhere once the new trains arrive. Perhaps we will see Class 91 sets on the GEML in the future. New services are planned for Huddersfield, Sundlerand, Middlesbrough, Dewsbury and Thornaby, with extra services elsewhere on the route. However I have my doubts about all this and it stems around cost. There is a commitment to reduce Standard Anytime fares by 10%. However it doesn't say when from and fares will be rising in Januray again in any case. With East Coast in Government hands it will have been run more on a not for profit basis. So let's see how much it costs to go London to Edinburgh on East Coast compared with London to Glasgow Virgin West Coast. I'll compare prices travelling tomorrow, a month's time and two months time. I'm typing this as I find the fares so could easily look an idiot but it's meant to be entertaining! Now for East Coast and it had better be cheaper or I'm going to look a right numpty! A standard single is £151.00 but that does come with a free 1st Class upgrade assuming there are seats available. So as you can see I'm a numpty, and contrary to what I thought West Coast is cheaper in all but the anytime standard single. Which means of course that knocking 10% off the price really won't mean that much at all. Of course I could go into season tickets and all that but really can't be bothered! 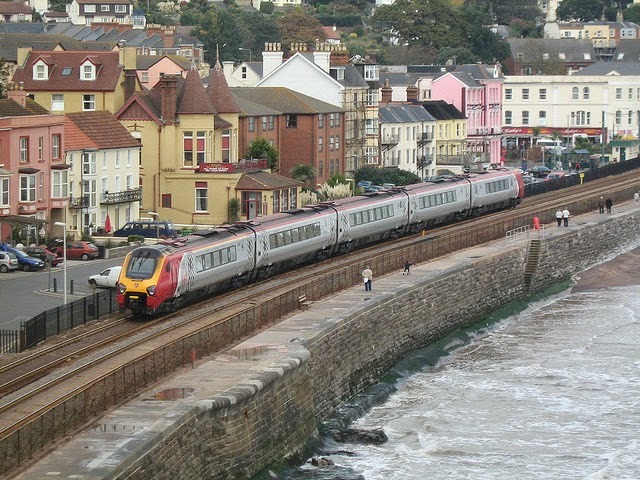 So I change my tact - will Virgin Trains East Coast make their advance fares as attractive as West Coast. It will be interesting to see. Of course one thing that I am disappointed over is when I saw Stagecoach mentioned I hoped that they might extend their Megatrain services to include East Coast.That is obviously not going to happen but Megabus remain by far the cheaper option if you have the stamina for it. A bit of an odd assortment today with irregular workings, new brandings, repaints and a sick Scania. I had to go to Ipswich today for a meeting and my camera was kept rather busy. First off was a very rare outing for an E200 on a country route. 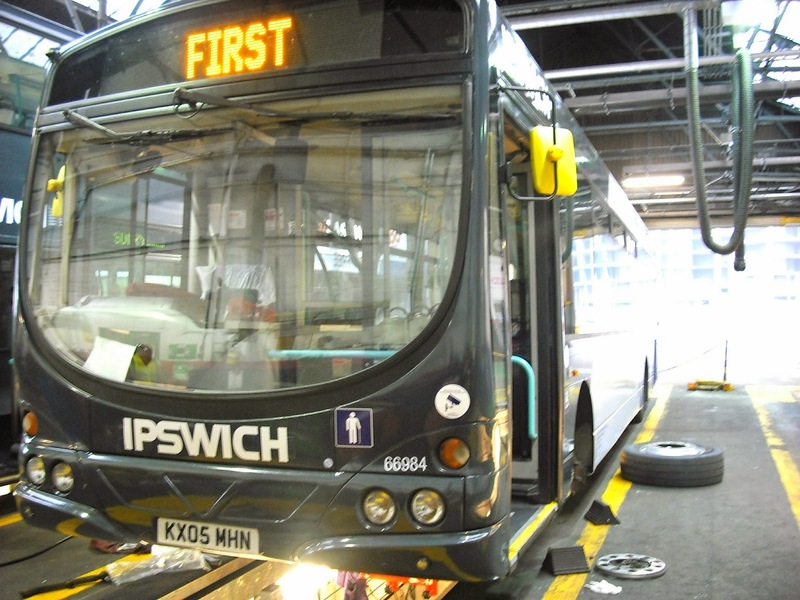 Due to traffic chaos caused by an accident on the A14 which resulted in traffic being diverted through Ipswich, 44516 was pressed into service on the 64. Luckily for me I was waiting at Wickham Market for a bus to Ipswich when it came along giving me the opportunity to get it on camera. Even more lucky was that I was going the other way! I travelled to Ipswich on loanee First Yorkshire Renown 62143 cursing the lack of WiFi - remember how positive I was about on board WiFi? While travelling down Woodbridge Rd I spotted one of the 05 reg ALX400;s ahead on the 66. When we caught it up I noticed that for the first time one of that batch - 32655 - has been fitted with guide wheels so can traverse the monumentally short Kesgrave Busway! I was later informed that all 3 05 reg ALX400's will be branded for the 66. There will be two 53 reg ALX400's also branded - 32493, which according to Clive from Ipswich Bus Blog was hilariously on the 64/5 today having been the first to get the Superoute 66 branding applied, and 32488, which only arrived back from Rotherham last night and was in the stages of being branded when I saw it in the depot late this afternoon. To see the full 66 branding on IBB click here. 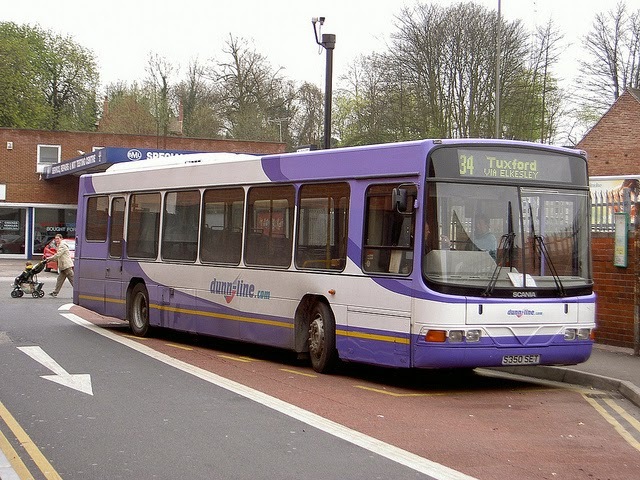 Another repaint to report is that of the the first 02 reg Trident to be repainted down the road at Ipswich Buses. I spotted IB 11 at Tower Ramparts as I alighted from 62143 and so captured it. Must admit that livery is growing on me and is certainly far more vibrant than the old green and white as sported by the Dart behind. And finally tonight I got home to find an email sent to me showing a rather poorly Anglian Scania decker. The sender has asked to remain anonymous, which of course I respect, but the question I do have to ask is where was this pic taken? I'm wracking my brains, what there is of them, and can't place it. Wherever it is this must have been quite a sight once on the move. No shame or criticsm of anyone as all buses suffer breakdowns from time to time - it's inevitible. A poorly Scania Decker, but where? While en route today to Yarmouth to try and get on more of the new Lampposts I decided to stop off at Lowestoft as I haven't spent much time there recently. First of all my apologies as the photos aren't up to the usual quality - I unintentionally left my camera at home and had to rely on my phonecam, which still hasn't been fixed! There were many Geminis on the X1 today - in fact the first 4 X1's I saw were all Geminis! Apart from 37571 I also saw 37575/6/8, catching 37578 to Jame Paget myself later. However before that I saw recent transfer from Great Yarmouth ex Jersey Dart 43862 operating on the 99 to Kessingland. Not long after that another Yarmouth Dart came in. 42921 had been spotted on the X2 yesterday but today it was working on the 103's. I understand that it is not a transfer but on loan to Lowestoft to cover for extra Bernard Matthews Contract work at this time of year. Are turkeys in demand then??? If you glance to the right you will see the back of Anglian's ex Konect Loylne Trident 725 which was operating on the 60 to Beccles. A giant amongst a crowd of Solos on that route! And then it was time to take my leave of Lowestoft and head for James Paget Hosipital for a spot of Lamppost hunting, which was a success, but I'll save that for an other post. I'll leave you with X1 Gemini 37578 which still looks rather good, and once again my apologies for the quality of the pics, but something is better than nothing. It can be said that this area has some pretty good looking buses - in an asthetic way obviously - the photogenic E400 33423, X1 Gemini 37578, even the gas buses have a presence about them. but it can also be said that there are some particularly uninspiring vehicles too, and in my opinion top of the pile, or should that be bottom is Ambassador Travel's Scania L94 Wright Floline S350 SET. It is regularly to be seen on the Great Yarmouth Asda shuttle from Market Gates, and today I rode it the short distance to the superstore. It is fair to say she has seen better days. The seats were comfortable enough, and it was nice and warm inside but to be honest not much else can be said in a positive way. So I was wondering while I was on her just what her history was and where she had been before. So a quick Google Image search came up with the following, including quite a surprise. S350 SET started life in Ireland in 1998 registered 98-D-76402 and turned into quite a traveller. Getting an accurate chronology is proving quite difficult as I'm finding new things about her all the time. 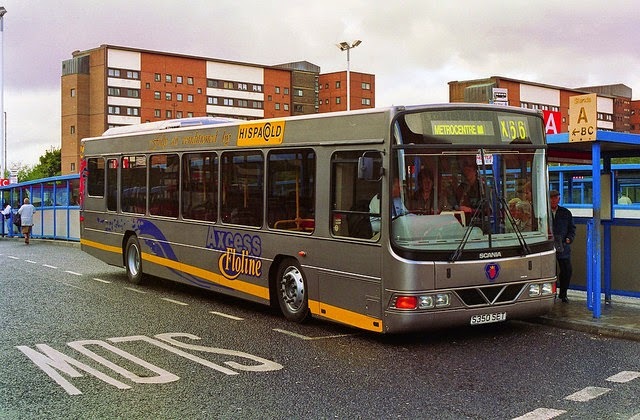 But she wasn't in Ireland for long as by 1999 Go North East had acquired her and she was working the X66 from Gateshead to the Metro Centre (must be said in Geordie accent) and looking rather smarter than she does now. But alas her stay at Gateshead was equally short lived because in 2000 she turned up somewhere qiute familiar still in the same livery. The next picture is a bit of a mystery - I have no date and the route 6 from Lincoln to Skegness is now operated by Stagecoach. Subsequent research suggests it was operated by a company called Roadcar. I'm assuming it's next chronologically as the livery is the same minus a couple of vinyls. However the blinds have changed colour. S350 SET somewhere - might be Lincoln, might not - your guess is as good as mine! Now the mist thickens even more. 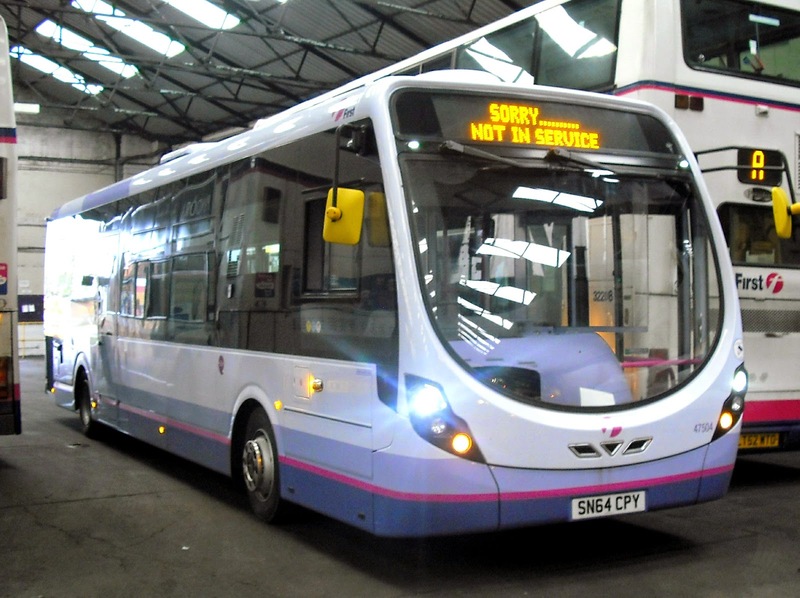 According to a short article Roy from East Norfolk Bus Blog did on her last year our Scania heroine had spells at Dunn-Line of Nottingham and Centrebus, amongst others. One of those others was back across the water in Ireland, when on 7th Auguest 2006 she found herself at Bus Eireann in Waterford as temporary cover reverting to her original registration and the fleet number SW1. 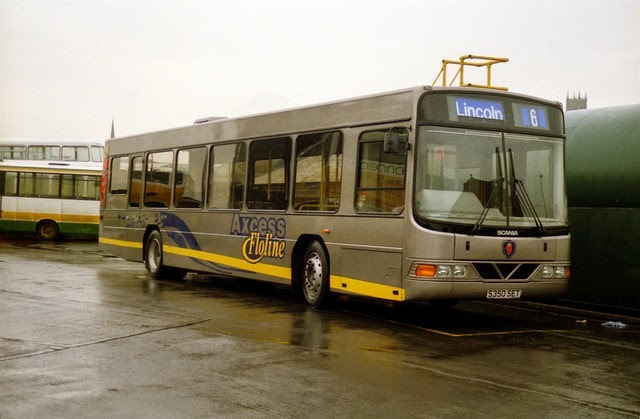 There are no pictorial records of her at Centrebus, or sadly back in Ireland to be found but certainly there is one at Dunn-Line which was taken in 2003. Interestingly she now has the solid panel at the front. And so by a very roundabout way this much travelled Scanioa ended up at Ambassador in 2008. To begin with she looked very smart, so it's a bit of a shame that her condition has been allowed to decline so much. If anyone can fill in some gaps that would be good. Just to repeat all images were found in the public domain on Google Images with the exception of the top pic which I took myself today. It has been a quiet week with nothing major happening that hasn't already been reported, so apologies if this Round Up isn't as long as normal. Movements this week are that 32491 and 66978 have gone up to Rotherham and 66982/4 have returned. That means the only B7tls left to get the Ipswich treatment are 32494/656 that are already in the Corporate livery. 66976 is due from Colchester tomorrow and will go straight up to Rotherham, with 69006 due from Norwich in a week's time. 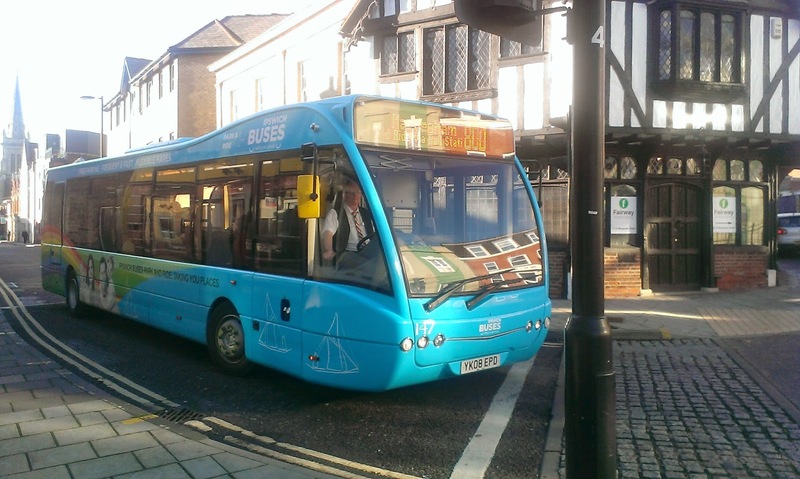 As has been widely reported all the Streetlites are now in service at Yarmouth, and Cameron from Yarmouth Bus Page was out yesterday getting as many rides and pics as he could. It turns out that the Jersey Dart in the background was rescuing and replacing 47506 which had developed a fault. The first of many teething probs that can be expected in the coming weeks. 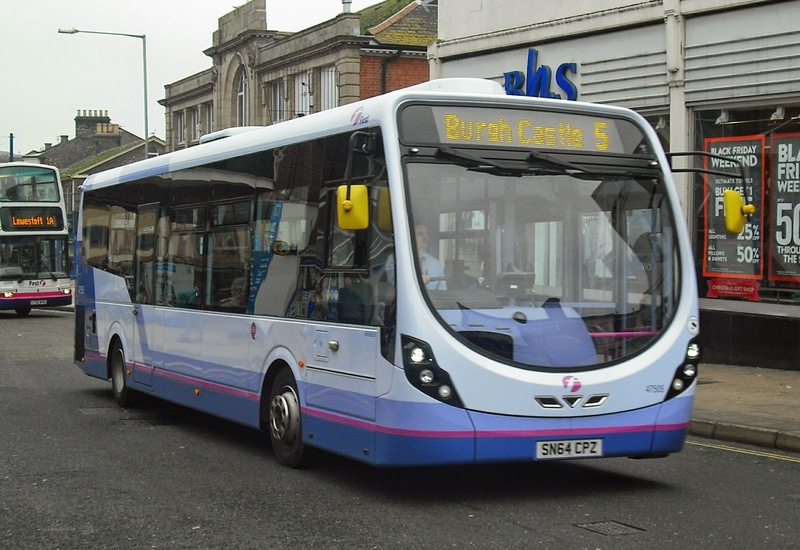 The arrival of the Lampposts has released Jersey Dart 43862 to be transferred to Lowestoft, with others expected to follow. In Norwich another President is about to return with yet another variation on the Corporate livery. Trident 33060 now has RED "Norwich" vinyls. It remains to be seen what the official version will be with everyone claiming they know but saying different things. I'll just wait and see and hope it's neither of the two currently on view. 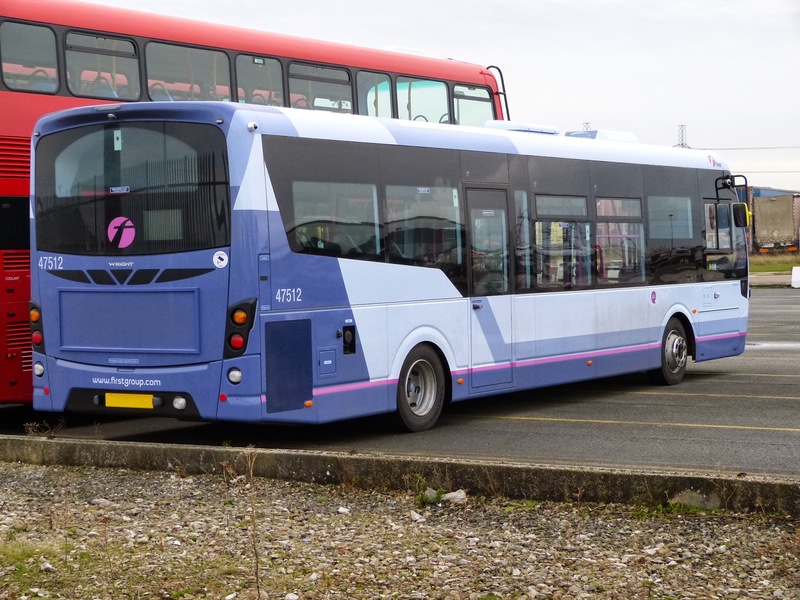 I am grateful to Malcolm Jones, who has sent me a pic of new Streetlite 47512 at Heysham Docks, which is bound for Norwich. Many thanks Malcolm. 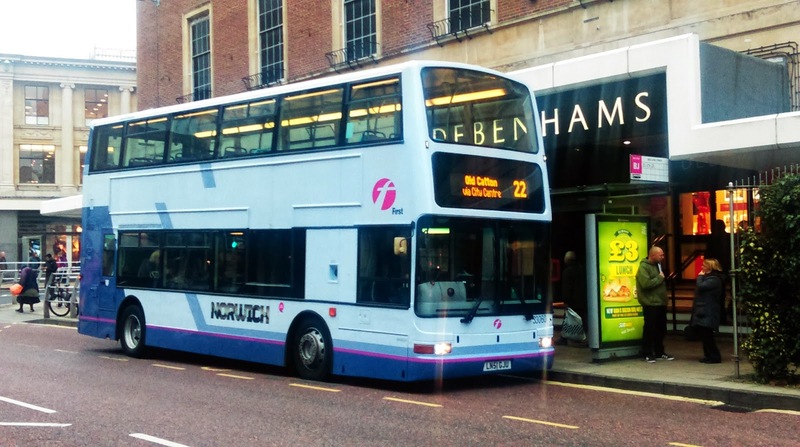 Anglian announced this week the details of some timetable changes in January on certain routres, as revealed on this round up last week. The main changes come to the 88, where a couple of journeys have been designated as X88, which basically means they miss out Ditchingham and Brooke. The morning journey leaves Halesworth at 0712,and despite omitting those villages only arrives in Norwich one minute earlier, so I assume more running time has been allowed Norwich end for traffic. However the return journey is somewhat baffling. The 88X leaves Norwich at 1530, and yes reduces the running time to Halesworth to under an hour, but for who? It is too early for school passengers or most students/workers, and most shoppers go home on the 1400/1500 from Norwich. It is quite frankly the last time I was expecting. Even more baffling is the return of the 1600 from Norwich to its original semi fast route, missing out Trouse, Woodton and Broome. But where is the alternative for those using those places, who until September had the 1555 relief serving those places. There is a lot of school traffic on that service and it seems they have been somewhat overlooked. 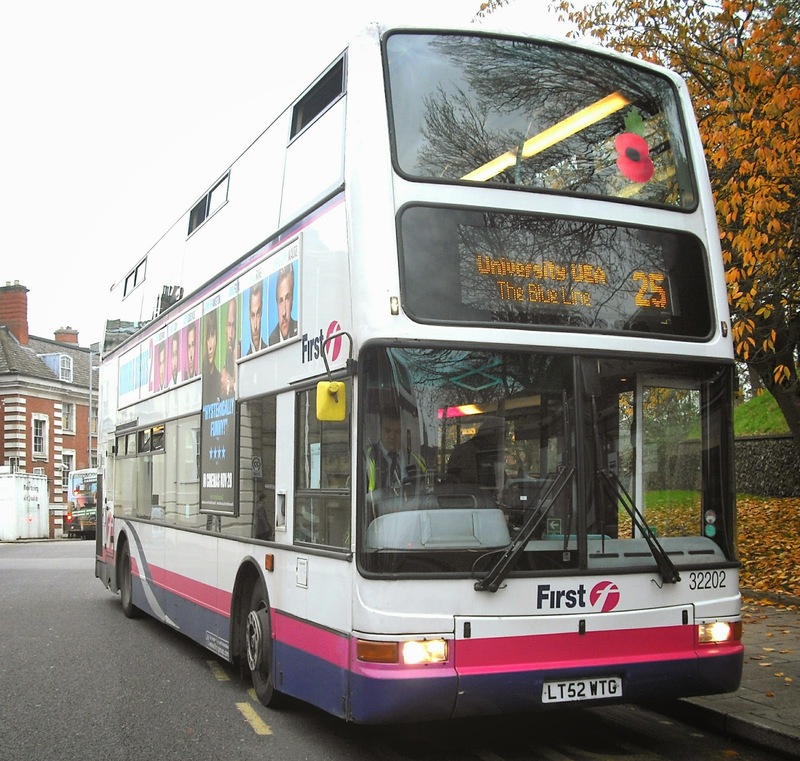 The new 87 timetable has a note stating the 1615 from Norwich extends from Poringland to Bungay, but that is not evident in the new 88 timetable which shows the first 87 to extend to Bungay as the 1645. If I find it confusing so will the passengers. Full details can be found on the Anglian website. Borderbus's E300 is off the road for a bit with heating probs, so BB62 BUS is stepping in to cover the school duties that the E300 normally does. In return 105, the "Pocket Rocket" BB07 BUS is covering on the 146. Have to confess it is the first E200 I have ever looked forward to travelling on again! Oh dear Lord another awful week for Abelio Greater Anglian as the day it was announced that 36,000 services have been cancelled since they took over the franchise, there was a fatality between Colchester and Manningtree Friday evening that cause utter chaos - trains were backed up to Witham waiting to get into Colchester. However, while I don't normally report speculation on here rumours have been bounded about that GA are hiring in some extra rolling stock to counter overcrowding on the Norwich-London line due to coaches being away for painting/refurbishment. Actually that isnj't a rumour it's true, but it's what might be coming that is the source of rumour. 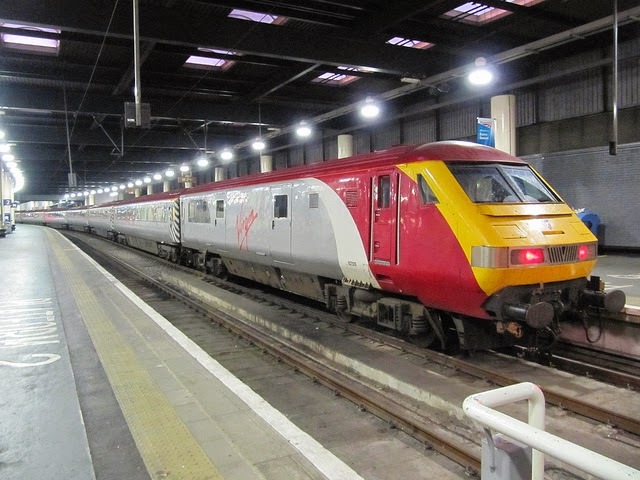 Dubbed the "Pretendolino" this Mark III set was recently withdrawn by Virgin Trains, and it would fit in perfectly with the GEML stock as it is hauled by a Class 90 with a Class 82 on the rear. However the standard of the interior would appear to be far superior with power sockets and complete refurbishment. Presumably this would enable a GA set to be split so extra coaches could be added to other sets thus reducing the overcrowding. We shall see but it all adds up. And finally as I was writing this post there was a major incident at Charing Cross station in Central London when a fire broke out on a train. It would appear a ceramic pot exploded under the train which caused some electrics to catch fire. I've seen a pot explode and it really is quite something. Anyway a full report by the Telegraph is available by clicking here, although it must be said the video is terrible! There were some crap jokes floating around yesterday. Some of them were actually quite funny too. 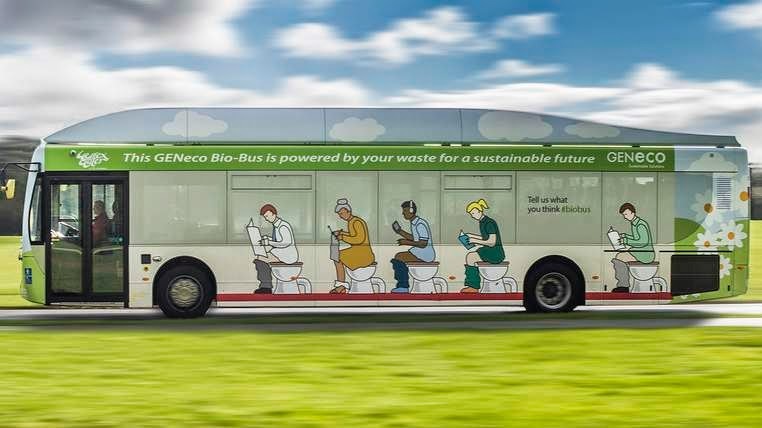 It was announced that the first bus to run on human waste was making its entrance in Bath, which is exactly what you need when there is too much crap about. 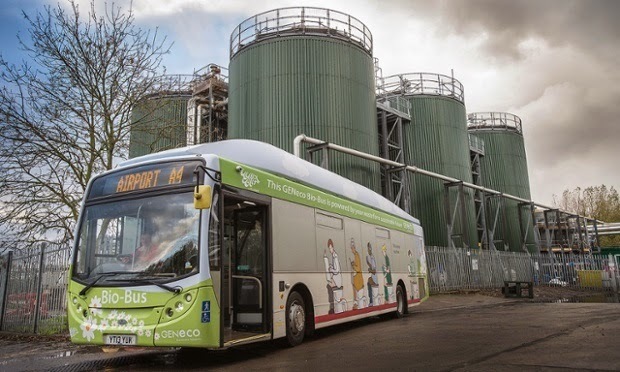 I'm not feeling too flushed by this as after all in this region we have been spoiled by the best gas buses in the country over the last couple of years, and the anaerobic digestion system is just another way of producing it. But it must be said there is an inexhaustible supply of raw materials for this method that doesn't involve disturbing the whales in the North Sea. 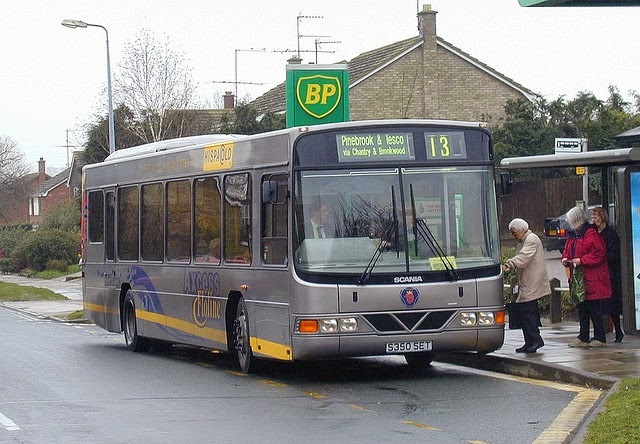 The service, operated by Bath Bus Company, "runs" between Bath and Bristol Airport using a bog standard AD E300 with gas tanks on top. At least I thought it was before Kieran, bless him pointed out I had misread the number plate and in fact this bus is no stranger. 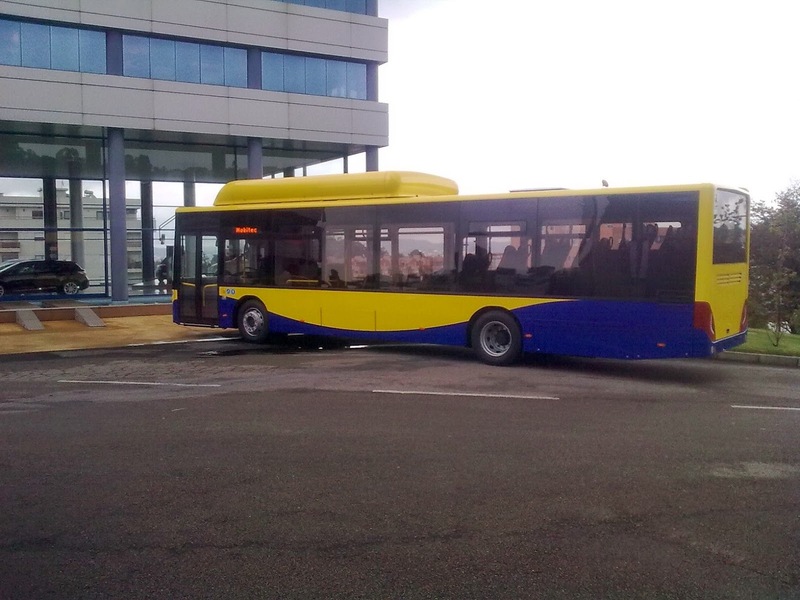 Earlier in the year Anglian had a Scania gas bus with E300 body on trial for a few weeks. It didn't go down well - in fact most people thought it was, well, crap! So how appropriate that a polished turd is now running on turds, and the last three letters of the registration rather sum it up. Thanks Kieran for correcting my lousy eyes! Rumours are that the driver is called John, the seats convert into commodes, the tickets are sponsored by Andrex and of course the service is number 2. I won't go into what happens if the bus has to brake very sharply at speed! AD E300 YT13 YUK in frfont od the anaerobic digester that privides the fuel. There is a serious point in this though. An anaerobic digester is being constructed in Suffolk. Where in Suffolk I hear you ask. I'll tell you where - on the Ellough Industrial Estate in Beccles. Sounds familiar? Yup - that is indeed the home of none less than Anglian Bus, who already operate those outstanding MAN Ecocity gas buses. So you would have thought that Go-Ahead would be champing at the bit to strike a deal with the operators of the new digester to get a pipe running direct to the yard, negotiate deals for cheaper gas, and also with the EU (while we're still part of it) to get subsidies to expand the gas bus fleet to improve the air quality in the towns and City that they serve. Oh yes aren't the Green Party big in Norwich? Quiet aren't they. Surely there is a golden opportunity here for Anglian and Go-Ahead to really do something and be trailblazers in the quest for greener travel as opposed to the gimmicks that are hybrids. Anglian told me categorically when I saw them last month that there were never going to be assitional gas buses there. With the new resources on their doorstep, and the Green Party I assume wanting favourable publicity in the advent of a general election that is apathetic at best, and bordering on the criminal at worst. In fact it stinks like the raw materials that could be providing their fuel. I didn't think today was going to add up to much - I was going to Yarmouth Lamppost hunting only to find out they weren't leaving the safety of their den. So I went to their den and asked to see the leader and hey presto my first meeting with Danny Beales and a depot tour. Many of you know Danny but I hadn't yet had the pleasure and what a pleasure it was. Apparently he went to school with Chris Speed but he has overcome that disability and is in charge of the most charismatic depot I've been in for years. However the aim of the day was to see the other 4 new Streetlites and they were there in various stages of preparation to go out in service in the near future. Danny gave me a tour of the depot and a couple of updates on various things. Firstly I know a lot of you are following the fate of 34110. The last Olympian to be built was going to be put back on the road but the cost is proving prohibitive. So if anyone has a few grand laying around they want to donate to the "Get 34110 back on the road" fund let Danny know! Alternatively you can buy her for 8 grand and do it yourself! 34113 is definitely beyond hope and 34112 is a last gasp stand by but it's highly unlikely she will ever see service again. Caister Rd depot reminds me a lot of Gillingham depot in Kent 35 years ago. Lots of nooks and crannies with a surprise around every corner. I was shown the seat shop where repairs are made to damaged seats, including a very quick repair to the seat vandalised on 47502's first day out. But the highlight was the obsolete parts store upstairs. Oh my word like going through a time machine into a giant time capsule. Windows for Swifts, seats for Bristols and so on. You could almost feel and smell the history, and I could have spent hours just looking at what have become artefacts there. There are specialist areas for MOT, general maintainance, and a specialist tyre bay is being prepared which will be painted into corporate colours - should be interesting. There was also another aspect of the depot I was very interested in, and I have aranged with Danny to return in the near future and have a proper meeting which will result in a post I've been wanting to do for a long time. more on that nearer the time. I would like to thank Danny for giving me his time today when I know he was pretty busy. Thanks also for being given permission to wander round taking pics. 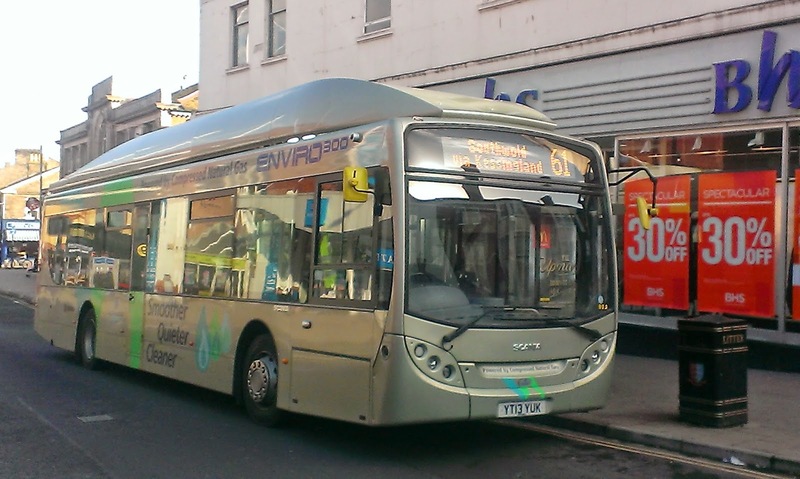 I'll finish with another Streetlite pic and I think Yarmouth will look quite good once all 6 are out on the road. Incidentally it's still not certain what the Streetlites will replace and final decisions are still to be made. I have enough titbits for a bonus Round Up this week. Nothing earth shattering but worth reporting now rather than wait for the weekend. The remaining Streetlites have arrived at Great Yarmouth depot - I'm up there tomorrow (Thursday) so hopefully some of them might be out. Last night ex Colchester B7rle 66984 returned to Ipswich from Rotherham. By lucky chance I was in Ipswich today and managed to get a couple of shots at it having safety checks. Looking all clean and shiney until it meets the Suffolk Winter again! 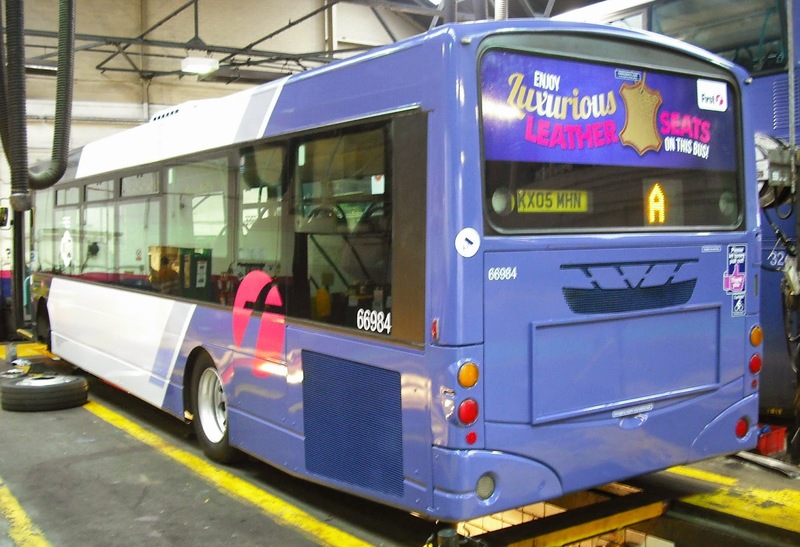 Also at Ipswich B7tl 32492 is a long term invalid with rear axle problems. 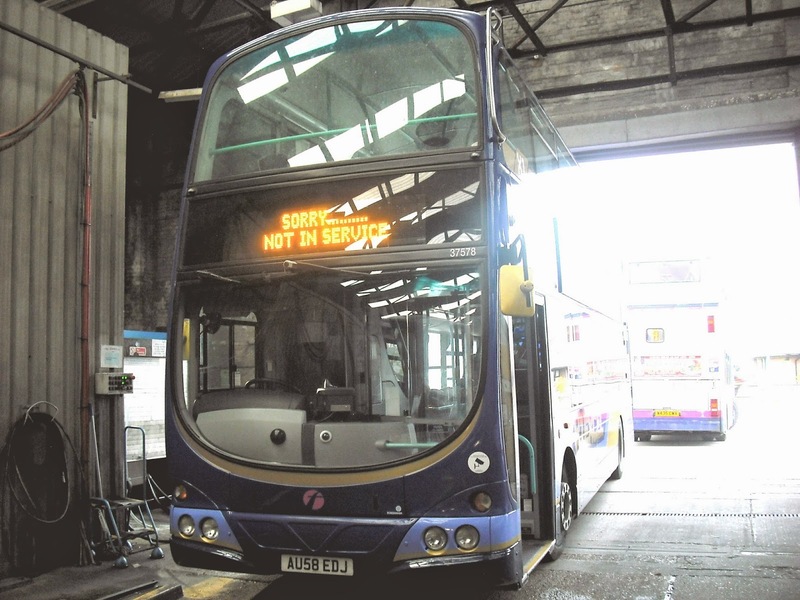 The last Essex B7rle, 66976 is due to be transferred early next week and will go straight to Rotherham for refurbishment. The same arrangement will apply to Norwich B7rle 69006 when that gets transferred at the end of the month. When that happens 30888 will return to Yarmouth and Renown 60622 will temporaily return to Ipswich for a short period before the Yorkshire Renowns head back up the M1. Had a pleasant drink this afternoon with Malcolm Robson and Operations Manager Dean Robbie this afternoon. Very little to report from there except the next repaint will be a Solo in December. However they did reveal that gradually all the P&R Versas are going to have their MAN engines replaced with Cummins engines. The first one to be done is 147 YK08 EPD, which will be taken by low loader to Hartlepool next week for its heart transplant operation. Anglian have annnounced on their website that Tridents 723 and 711 T823/11 RFG have left for Hedingham, the latter for spares. 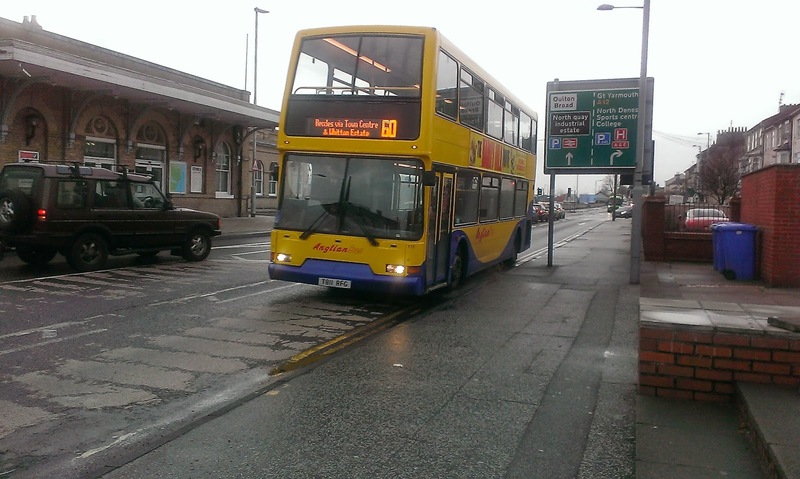 However, this is being disputed by some, who claim that 711 has actually returned to Brighton & Hove for spares. Either way they have both gone! Scanning VOSA this week there are a few interesting applications. 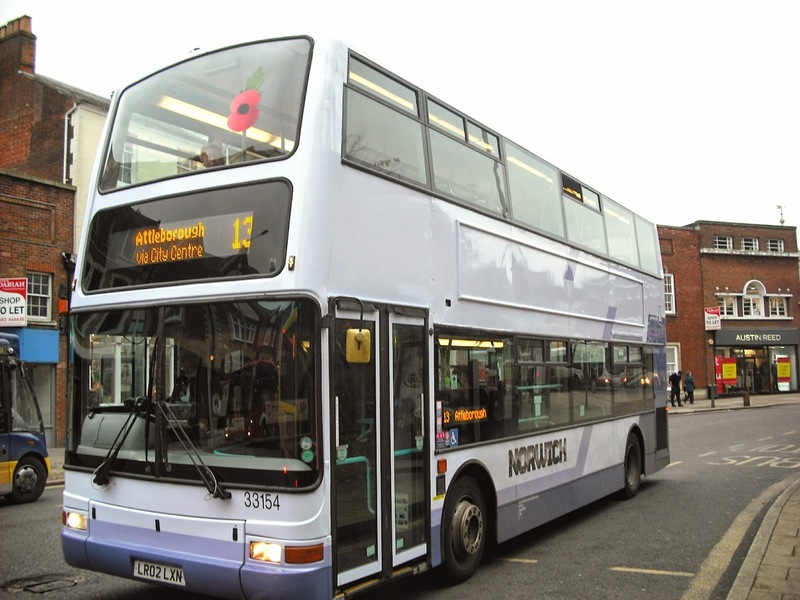 In Ipswich the 6 month trial Sunday service to Debenham is being scrapped from 11th January, however the 63B service to Woodbridge is clearly remaining as there has been an application to amend both timetable and stopping places. Anglian are amending the timetable on the 87/88/88A, and the 93 which operates between Bungay and Norwich is being scrapped. One that made me sit up was that Konect are amending the timetable to the 2 and 2A between Sheringham and Norwich. I have heard whispers about that route and will be very interested to see the amended timetable when it is announced. That's just about it for tonight - more of a supplement than a full issue, but I'll have more on Sunday plus extra posts before then. It has been quite a busy day. I needed to go to Dereham for a couple of things, one of which was to meet the legend that is Badger, and have a damn good chinwag. 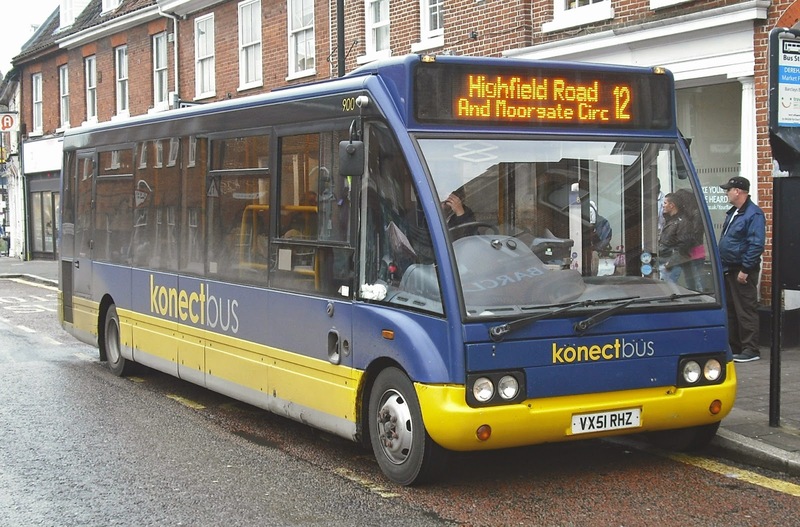 This was achieved, but beforehand as it was market day I managed to get some pics of some of the lesser known routes operated by Konectbus out of Dereham. 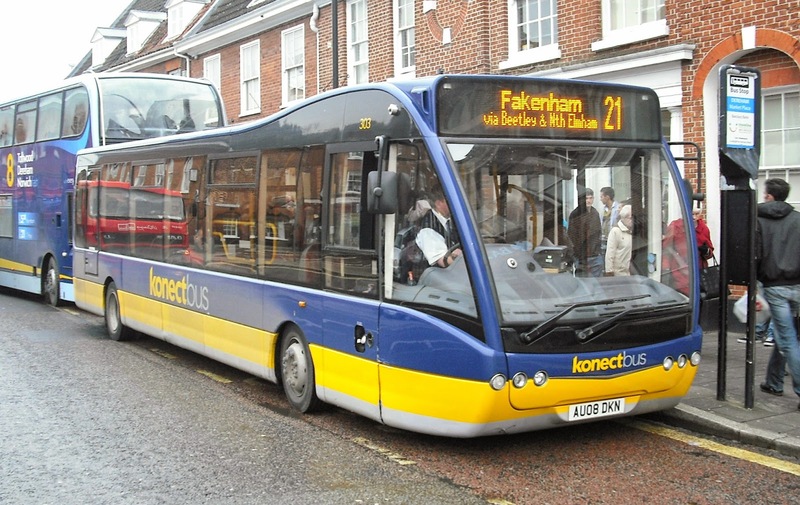 First up is the 21 which runs from Dereham to Fakenham. The 1230 departure seen here is the second of two journeys a day to do the complete route. Across the other side of the road was the 17. 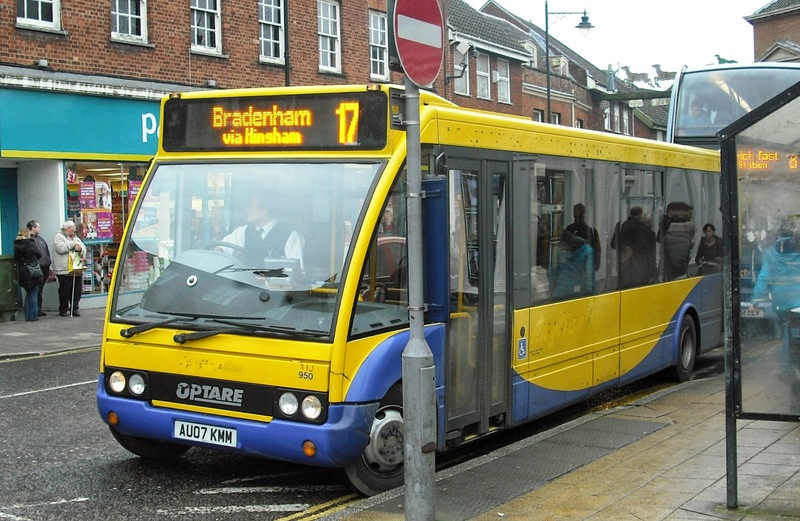 This service runs on Tuesdays and Fridays only from Bradenham via Hingham and the return journey is entirely request only, dropping off where required. Finally the 12 is a Dereham town circular taking a whole 21 mins and operating 5 journeys hourly from mid morning to early afternoon. Those who follow me on Twitter will know I often retweet tweets posted by Bus Badger. I finally met the legend today and have a feeling it could become quite a frequent occurance. He reminds me of a younger me, the poor bloke. And so a couple of hours later I was in Castle Meadow seeing what was going on in Norwich and as it turns out quite a bit. 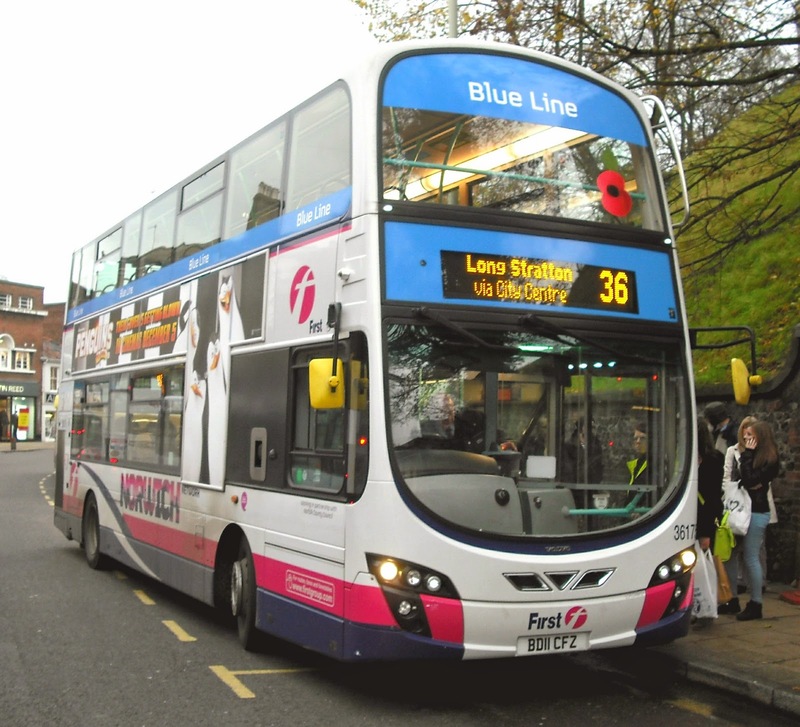 Most notably were two Norwich Network Presidents on the 25/26 Blue Line normally operated by Geminis. Ex Yarmouth B7tl 32202 and Trident 33239 were the vehicles involved. So naturally that meant that somewhere a Blue Line Gemini was on foreign soil and so it proved when 36175 turned up on the Purple Line. Can't wait till next year when this sort of thing will be far more noticeable. Also around was the rather dubiously repainted Trident President 33154 which looks as though someone has put a retro tint on the camera. Black branding, black fleet numbers, and half the trim missing. Is this the new generic livery for Norwich? Not sure I'm particularly keen on it if it is. Another spot in Castle Meadow was the last Volvo B7rle at Norwich. 69006 is soon to depart to Ipswich so this will probably be the last chance I get to picture her before she gets her new paint job and stamping ground. Finally there were a good selection of coaches bringing people from far and wide to Norwich. I think the pick was this rather good looking Volvo VDL Jonckheere of Lawton's of Boston, proudly wearing its 2013 UK Coach Rally Commendation.